In this code, we just connect all the libraries that we are going to use today. I hope that you have already seen our demo and imagine what the basic elements it is composed, we will consider the creation of each item step-by-step. This is common structure of application built with three.js. Almost everything will be created in the ‘init’ function. We set the camera at an angle of 45 degrees, set the full screen size and white cleanup color for WebGLRenderer, added our scene in the HTML document, and also connected THREEx.WindowResize to control the renderer and the camera when resizing the window (of browser). 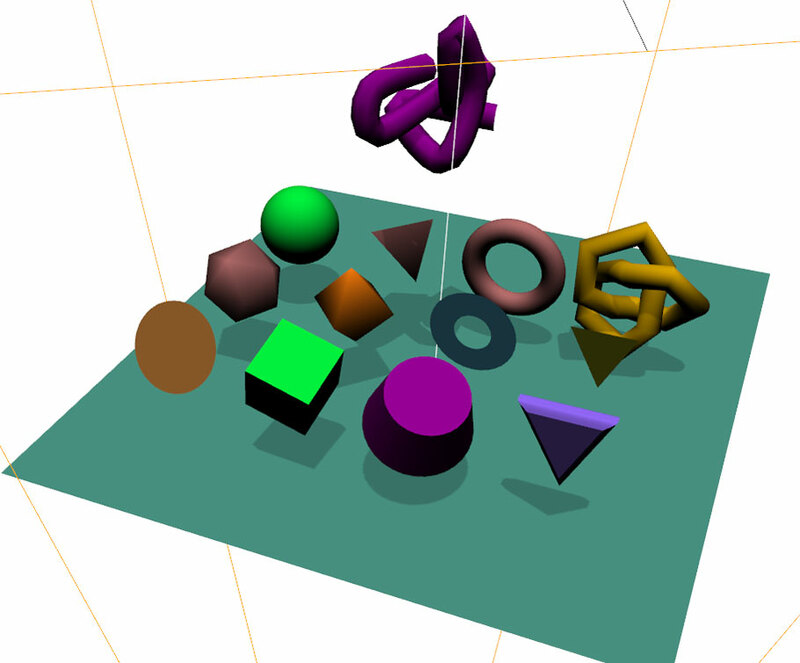 In order to be able to somehow control the camera – three.js gives us the possibility to use ready-made controls. One of these is OrbitControls, which provides the ability to rotate the scene around its axis. Also it will be helpful to see the statistics (FPS) of our scene – a very small class Stats will help us (stats.min.js). When we create the light, we enabled two parameters (castShadow and shadowCameraVisible). This will allow us to visually see where is the light and we can understand the process of creating (and boundaries) of shadows. You may also notice that immediately after the light, we have added a spherical object – it is for you, to be able to visually know in what position is our directional light source. In order to create the earth – we used the flat element (PlaneGeometry), to prepare it to receiveshadows – we set the ‘receiveShadow’ param to ‘true’. Soon we will add additional objects in the scene. But, I prepared one additional function to generate a different color for our items. This function will randomly return a color from a predefined list of pastel colors. Once the geometry is created, we can create a Mesh on the basis of this geometry. When you create a Mesh, we specify the material (as the second argument). Pay attention to the process of creating the pipe. TubeGeometry allows us to build a cylindrical object by the array of points. I think that we done enough for our first lesson. In addition to creating a scene, we also saw how to create a shadow, and even made a review of almost all possible geometries. See you at the next lesson!